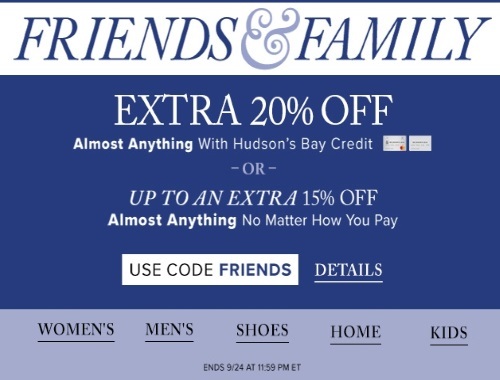 Enter the promo code FRIENDS at checkout. Please note the exclusions, there are many. Offer is valid until September 24, 2017.